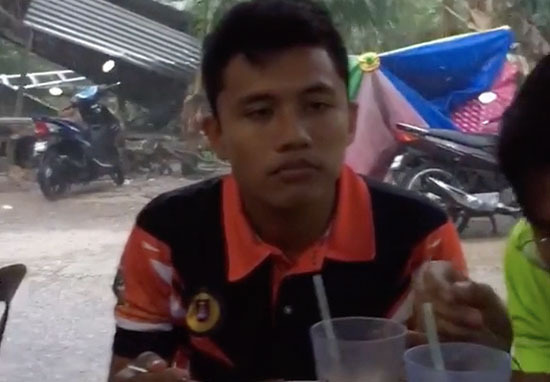 A guy in Malaysia wasn’t going to let a bit of (torrential) rain get in the way of him enjoying a hearty meal. Nature can destroy buildings, ruin cities and generally cause all sorts of havoc, but the determined diner in this video didn’t appear the slightest bit worried about any of that. The guy proved he likes getting his money’s worth and wasn’t about to waste any of his food. Seated under some sort of cover while he ate in Pasir Puteh, Malaysia, at first the casual, almost bored, face held by the guy raises the question – was he actually aware of the downpour that was taking place behind him? But a glance over his shoulder confirmed that yes, the diner had acknowledged that trees and structures were literally falling to the ground in the storm, it’s just that apparently it wasn’t an issue for him. We were eating and suddenly the tree fell down in strong winds, but I kept eating my meal like nothing happened. 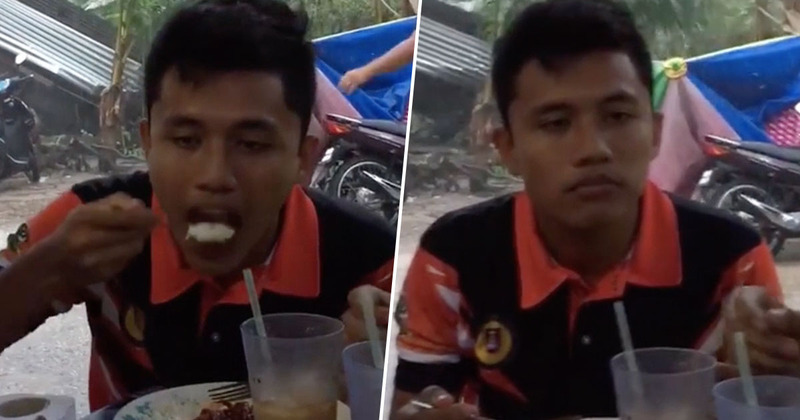 The boy’s laughter at the end of the video suggests his casual demeanour might have been an act for the camera, but at the end of the day, he still stuck around to finish his food in the middle of a pretty hefty storm. I’d also like to give a shoutout to the optimistic guy who appeared in the background of the video and looked like he was trying to re-erect the umbrella that had collapsed in the strong wind. We all know that umbrellas and wind don’t go together – he’s just lucky it didn’t turn inside out and fly away. But he made a valiant effort of righting it. You’d think the huge storm might put me off, but with food good enough that it makes you ignore the fear of being crushed by trees or rogue umbrellas, this video has actually encouraged me to take a trip to Malaysia. I’ll have what he’s having. I can’t imagine there would be any food nice enough to make it worth sticking around for that one. Maybe wings.